Sean Bruyea is a frequent commentator and author on veterans and military culture. He is also a retired Air Force Intelligence Officer. Exactly 70 years ago, more than one third of all university students in Canada were veterans. At the University of Toronto alone, half of the student body had returned from World War II. All who served received substantial assistance to rejoin civilian life, including educations fully funded by the federal government. The only criteria: to be a veteran. These were the glory days of Canada honouring military sacrifice. Military service with its institution culture, combat training and possible war experiences was keenly understood as often counterproductive to living a successful civilian life. We have forgotten this. Since that time, Canada has not had a meaningful universal reintegration program for veterans. This all seemed to change in 2015. 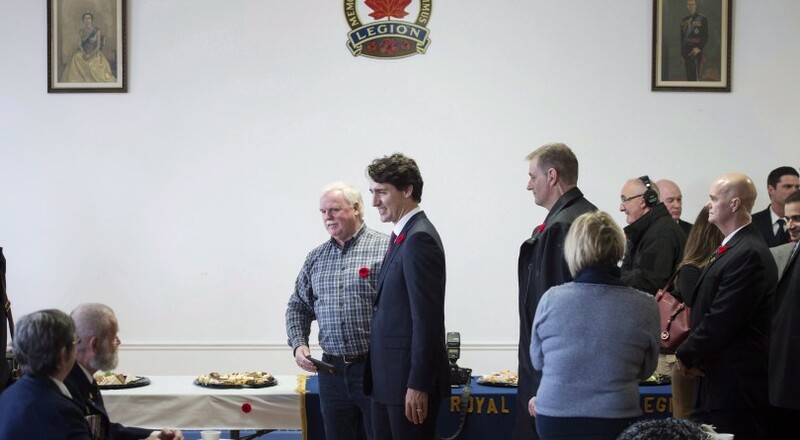 As part of the Liberal campaign platform, Justin Trudeau promised full funding for veterans of four years of university, college or technical education. “We’ll honour their past service and we’ll also help them secure a bright future,” he said. The commitment was generous and overdue. Then the bureaucracy got hold of it. The process leading to the “Education Training Benefit” that began April 1, 2018 was a fantasy for any bureaucrat. No debate was held on the benefit because it was quietly rolled into the 2017 budget omnibus bill. Likewise, parliamentary committees didn’t hold hearings. And the federal Cabinet denied any public input into the process to flesh out the legislation into regulations. The rationale remains unknown as deliberations of the Cabinet are held in confidence. Considering that this was to be the first post-war universal veteran program, the lack of a public process and Parliament’s apathy about how this plan was created is stunning. The final product is as important as process for veterans who fight and die while in uniform to defend democracy. And this plan is far from what Trudeau promised. Out of the gate, the program excludes veterans with less than six years of military service. Ottawa will pay up to $40,000 for those with at least six years of service and up to $80,000 for those with 12 or more years in uniform. Arguably, the veterans who spend longer in uniform have more time to achieve qualifications compatible with civilian life, and therefore require less assistance. But unlike other education programs for veterans in Canada or the United States, this one is taxable, creating a further burden during what is easily the most profound cultural and career shift possible for any Canadian. Conspicuously absent is a living allowance. How many veterans, especially those without a pension and with a family, can afford to go back to school absent income? Perhaps this is the point. Less veterans accessing the benefit means more money saved by the bureaucracy. Why else would the program cruelly exclude more than 500,000 veterans who released from the military prior to April 1, 2006? Most veterans pleading for help in the media are this demographic. Yet, these are the veterans that have consistently been denied many of the initiatives announced over the past 12 years. Are veterans in their 40s, 50s and 60s beyond redemption or hope of an improved quality of life? Do they not deserve something more than platitudes? Granted, about 20 per cent of current veterans upon release can access vocational rehabilitation programs if they’ve suffered mild to moderate levels of injury. The most disabled and poorest veterans are not only excluded from education under current rehabilitation plans, the promised Liberal plan precludes their return to school. Ottawa fails to see how eduction can help the most disabled who are unemployable. The poorest would forfeit a poverty-level income safety program if they receive the taxable education benefit. World War II retraining programs were still being accessed forty years after the war. There was no minimum time served to receive assistance and the disabled could retrain as their circumstances changed. Canada enjoyed one of, if not the most, successful post-war economies thanks, in part, to thoughtful and compassionate programs like universal veterans’ benefits. More than 140,000 veterans entered retraining, graduating 5,000 teachers, 8,000 engineers, 3,000 doctors and more than 85,000 veterans in 250 trades. We have to stop missing golden opportunities not only for Canadian growth, but humane possibilities to tangibly repay veterans this debt that government so regularly professes it owes. For the original article at MACLEANS, please click here.